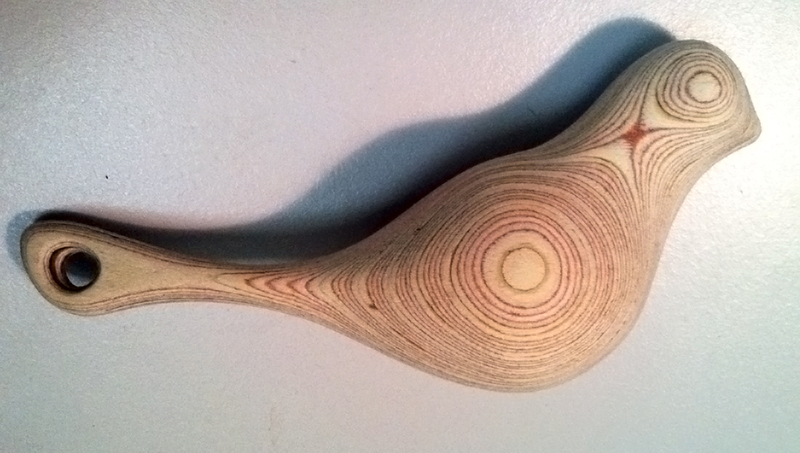 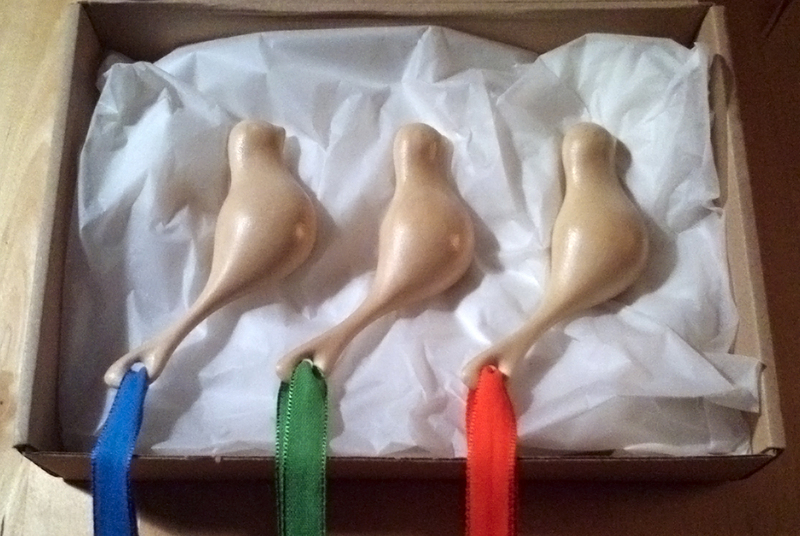 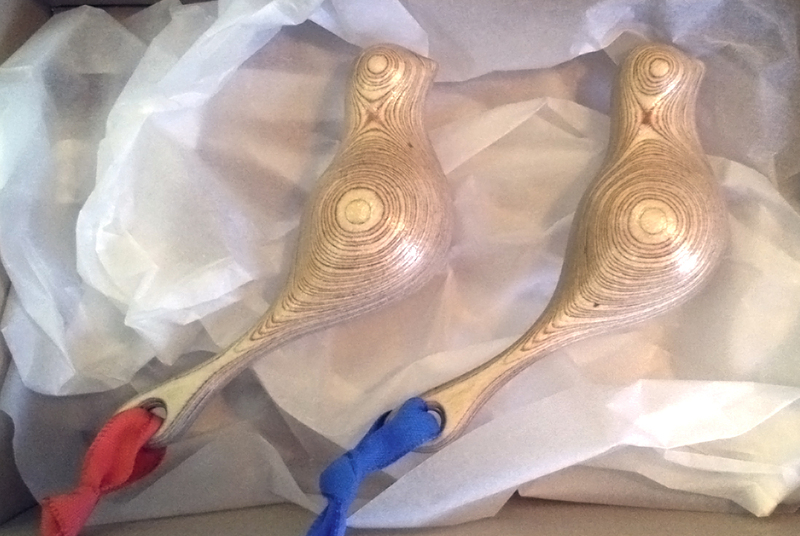 Baby rattle in the shape of a swallow. 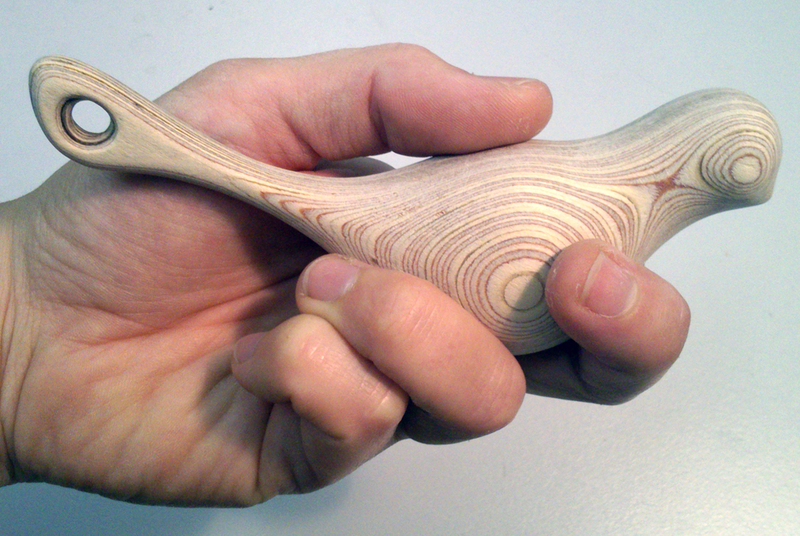 I produced several editions over the years out of different types of wood, i.a. 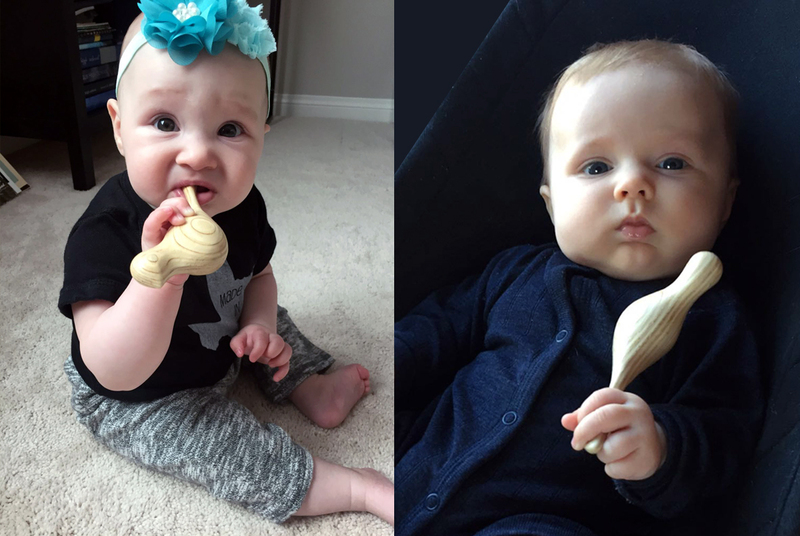 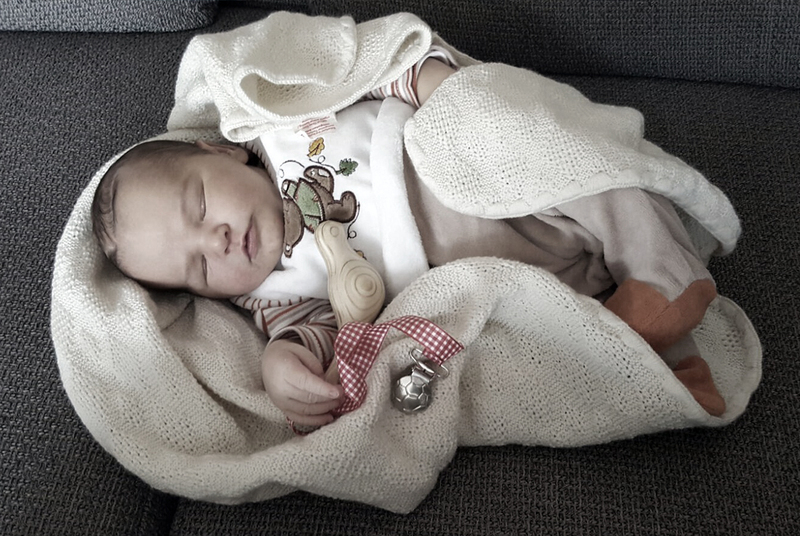 poplar-plywood and solid lime wood which are ideal for babies to hold and lift due to their low density (lightweight) and softness. 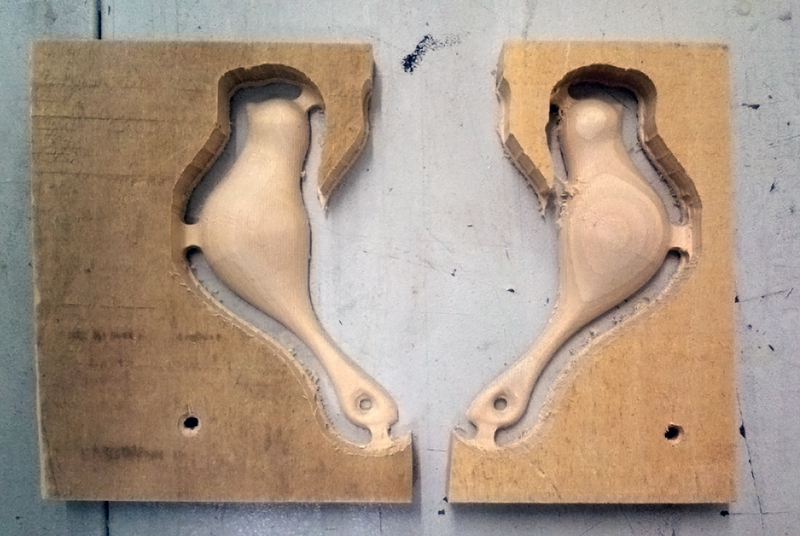 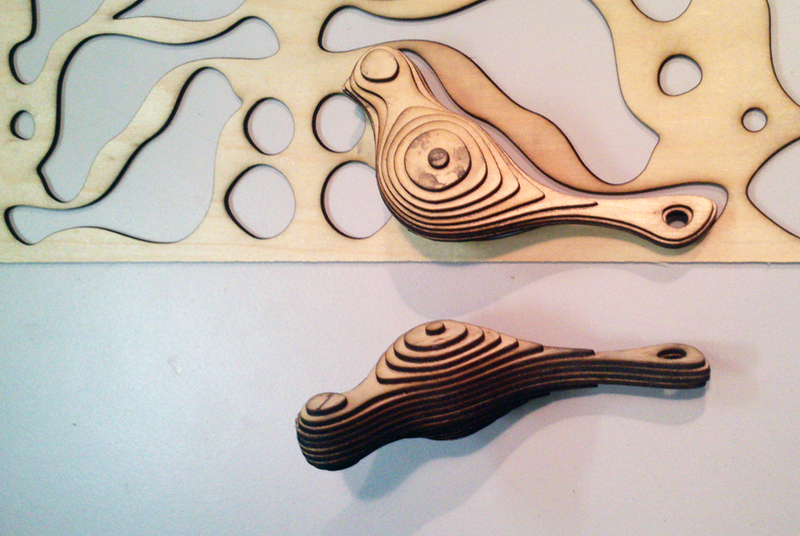 The solid wood versions are CNC-milled and the plywood versions lasercutted, glued and then grated and sanded by hand. 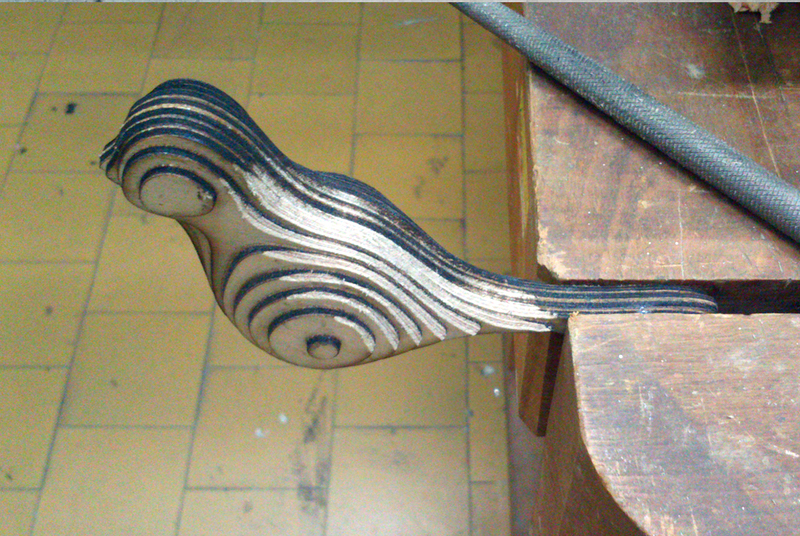 The solid-wood versions are oiled, the plywood versions get coated with at least 3 layers of special baby-proof varnish.